Staff member of the private clinics: “AGIOS LOUKAS”, “EUROMEDICA BLUE CREST”, “EUROMEDICA GENERAL HOSPITAL”, “THESSALONIKI ΒΙΟKLINIKI”. Scientific paper presentations in numerous Greek and International medical conferences. Compulsory medical practice in the Medical Center of the village Zoni of the Dispensary of Orestiada (border area), military service and internship in the Surgical Clinic of the Regional Hospital in Didimoticho (2002 to 2007), specialization in the Orthopaedic Department of the “Papageorgiou” University Hospital of Thessaloniki. Paediatric orthopaedics course. During specialization in the Orthopaedics Department of the “Papageorgiou” Hospital, Dr. Kessidis participated in surgical interventions of knee, hip, shoulder and elbow joint replacement for treatment of diseases caused by rheumatism, injuries or inherited diseases. During his specialization, he gained invaluable experience in the art and techniques of such operations. In his surgical practice he also uses arthroscopy. With the help of modern methods Dr. Kessidis restores meniscal tears, cruciate ligaments, etc., i.e. he manages to rehabilitate the patients who are at risk for early disability. From 2006 to 2010 he studied percutaneous osteosynthesis using the Ilizarov Method in the Ilizarov Research Centre in Kurgan, Russia. At the same time, since 2006 he has been treating fractures, correcting bone & joint congenital and posttraumatic deformities, restoring congenital and acquired foot diseases. Also he has been involved in treating osteomyelitis and septic pseudarthrosis with the Ilizarov Method. 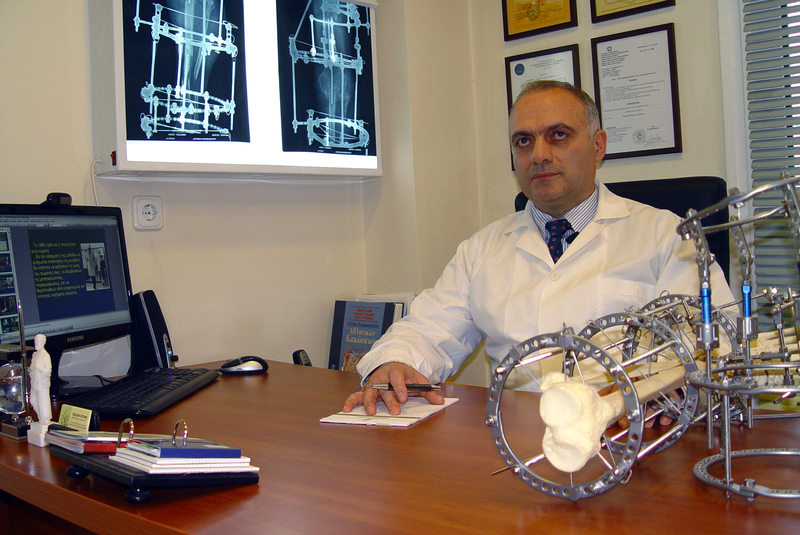 Dr. Kessidis is one of the first Orthopaedic Surgeons in Greece who uses the Ilizarov Method in plastic orthopaedic surgery. Since 2007 he is a researcher at the Orthopaedics Department of the Medical Faculty of the University of Thessaloniki.